There are so many benefits to downsizing your home that it’s hard to know where to begin. Whether you’re moving from a rural property into the city, you’re an empty-nester, or you’re simply looking for a change, there are lots of advantages to downsizing your home. Selling your existing home and moving into a smaller home or condo generally means that you will have a smaller mortgage payment each month. Typically, a smaller space results in less energy usage and that will reduce your utility costs. The cost of insurance is typically reduced when you have a smaller space. Overall maintenance costs are reduced as there is less to maintain and, in some cases, maintenance may be covered by condo fees. It may sound counter-intuitive, but when you move into a smaller space, you will reduce the number of items in your home. When you get rid of some of your unnecessary “stuff”, you will find you have more space. Less stuff also means less clutter, and reduced clutter leads to a calmer living space. Intuitively, when you move into a smaller space, you will have less area to clean — and that’s always nice! Keeping your home clean will be faster and simpler, and that will help to free up your time for other activities. Furnishing a smaller space requires fewer expenses, as there is less space to fill. This can help to realign purchasing priorities, which can lead to reduced spending and less potential debt. Some smaller spaces, like condos, don’t require you to have the same number of items or supplies for your home. For example, if you move into a condo, you won’t need to have all of the gardening tools or outdoor supplies. 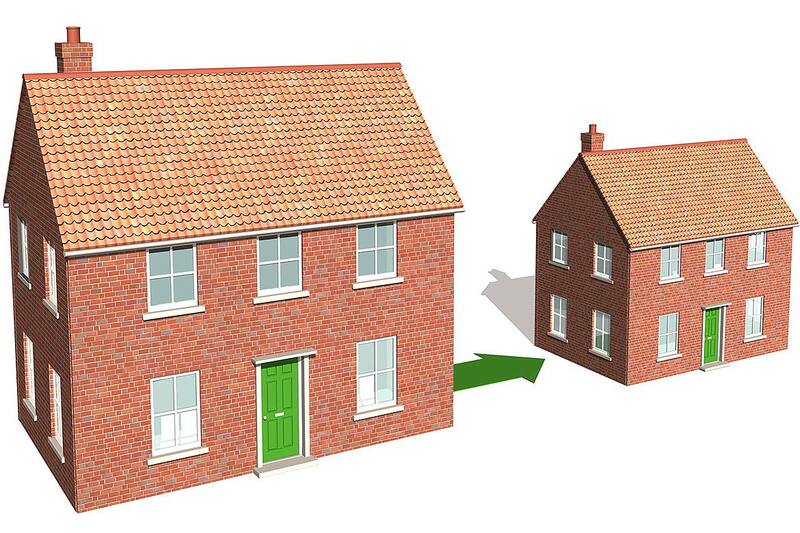 Downsizing can be the start of the next phase of your life. Perhaps your children have moved out and you don’t need the space, or you want to live a simpler lifestyle and focus on what you love to do — downsizing can help you move forward. If you are considering downsizing, the Southern Georgian Bay area is a terrific region to consider. Come and meet with the team at Locations North. We’ll help you unlock your future. When you set out to purchase your first home, you are sure to have many questions. Before buying your first home, the most important thing you can do is gather as much knowledge and information. Our guest writer is Dave Loopstra. He resides in Thornbury where he spends time performing and playing guitar at local hot spots like the Bruce Wine Bar, publishing his latest book, and enjoying.